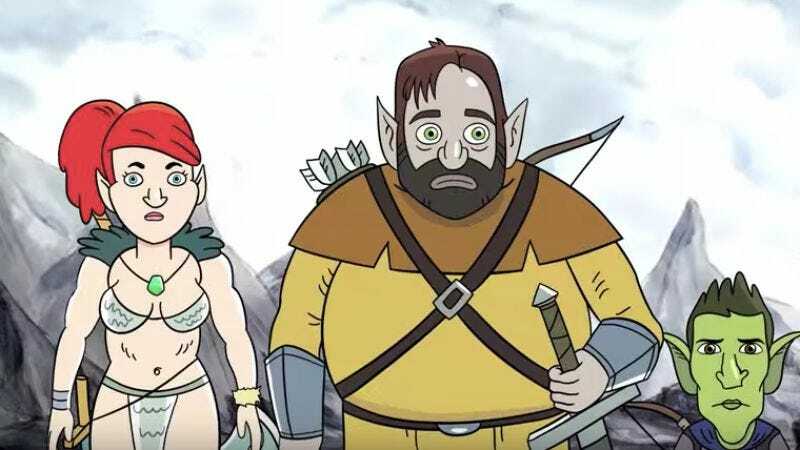 Dan Harmon’s Seeso series Harmonquest—which is sort of like an animated game of Dungeons & Dragons with famous people—has been renewed for a second season, the platform announced today. The first kicked off over the summer and featured the likes of Kumail Nanjiani, Chelsea Peretti, and Aubrey Plaza taking part in the roleplaying game before a live audience. There is no guest list for the second, but it will launch sometime in 2017. “A lot of people worked very hard on season one of Harmonquest and I love seeing them rewarded for that because, well, that’s basic behavioral conditioning,” Harmon said in a statement. In the show, the Community creator voices a character named Fondue Zoobag, while Erin McGathy takes on the role of Beur O’Shift.